Due to windy conditions the best time to book is 8 am to 12 pm. Other times might result in cancellation from harbormaster. Soar to new heights with Cabo parasailing from Aries Water Sports. 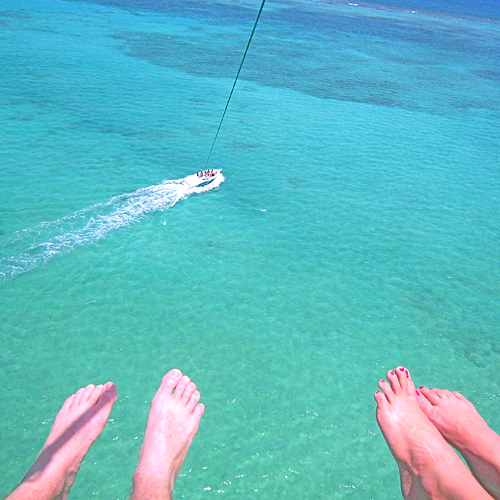 As a single or a pair, take off from our custom 30-foot, 16-person parasailing boat and fly up to 600 feet into the air. As you glide peacefully through the sky, enjoy a true bird’s eye view of Cabo San Lucas, Medano Beach, Land’s End and the Pacific Ocean. 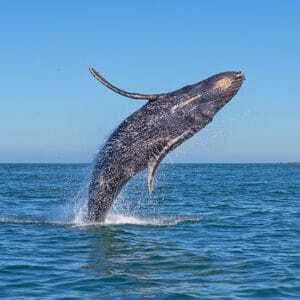 Add a dose of excitement with an optional dip into the Sea of Cortez! 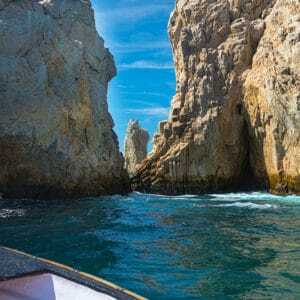 Our experienced crew will walk you through the entire parasailing process, get you situated securely in the harness and take you on an amazing Cabo parasailing tour. Parasailing flight time is approximately 10 minutes from takeoff to touchdown. Book your Cabo parasailing ride online and receive a special 20% discount. The best part, Aries lets you use your parasailing voucher at any time during your vacation! Maximum weight is 360lbs on both single or doubles. Transportation is limited and must be booked 48 hours in advance. Your transportation will be confirmed via email. 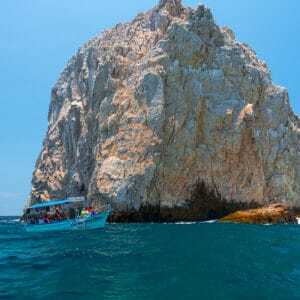 Book your Cabo parasailing ride online and receive a special 20% discount. 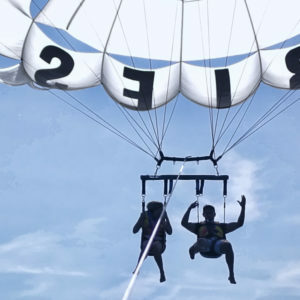 The best part, Aries lets you use your parasailing voucher at any time during your vacation! Book now. Enjoy whenever.